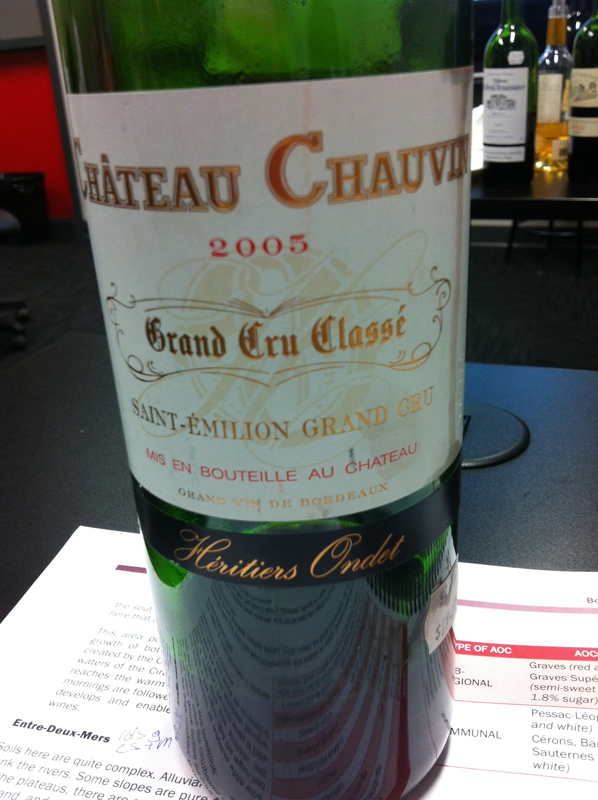 Last night in class we dove, head first, into the myriad that is Bordeaux. This is the home of age-worthy reds and delicious age-worthy sweet wines ( but more on the whites in Part Two ). Most people assume that Cabernet Sauvignon is the most planted grape in Bordeaux but that is incorrect – Merlot has more vines planted than any other variety with a ratio of 60% of the red plantings and Cabernet Sauvignon coming in at 26%. In fact, there is more Merlot grown in Bordeaux than anywhere else in the world! Cabernet Franc rounds out the top three with 12%. Needless to say, Bordeaux red wines are most usually always a blend of these three grapes along with a few minor players. Bordeaux has a Maritime climate and vintage is exceptionally important here. Soils are divided between gravel and sand on the Left Bank and clay and limestone on the Left Bank. Cabernet Sauvignon is a happy camper in gravel and Merlot is happiest in clay and limestone – hence the Left and Right Bank which is also divided by Gironde and the Dordogne rivers. Unlike Burgundy, Bordeaux rates its’ Châteaux…the Château is rated as a wine producer – the place ‘terroir’ is not. In 1855, Médoc and Sauternes regions put together a list based on the historic price per bottle of wine over a 10 year period which resulted in tiers of rank called ‘first growths’, ‘second growths’, and so on until ‘fifth growths’. ‘First’ was rated the best. In Saint-Émilion, the classification system was established 100 years later in 1955 with plans to review every 10 years. 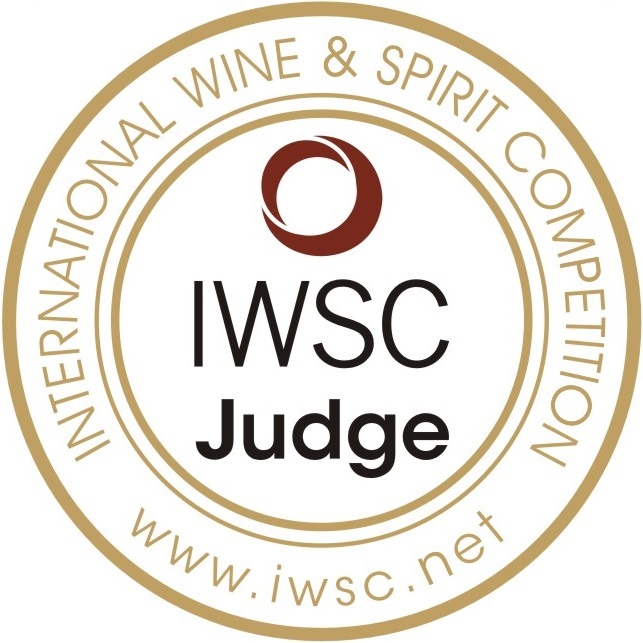 This is where we get ‘Grands Crus Classés A Level’ ( there are 2 ) and ‘Grands Crus Classés B Level’ (13) and 59 ‘Grands Crus Classés’. Whew. Enough history – onto the wine tasting! We tasted 5 reds last night – 3 from the Left Bank and 2 from the Right Bank. Château Le Breuil Renaissance 2009 Médoc AOC (12.5%) $26.99 This is a blend of 80% Merlot/ 20% Cabernet Sauvignon. Even though it is from the Left Bank, it is a northerly AOC where Cabernet Sauvignon is challenging, so the blend is Merlot driven. It was a damn fine example of what basic Bordeaux can taste like in a great year! 2009 was a great vintage in Bordeaux so keep that fact in your head when you head to the store. Nice and dry with red fruit, plums, ‘furry’ tannins, pepper and a bit of spice…Yes! 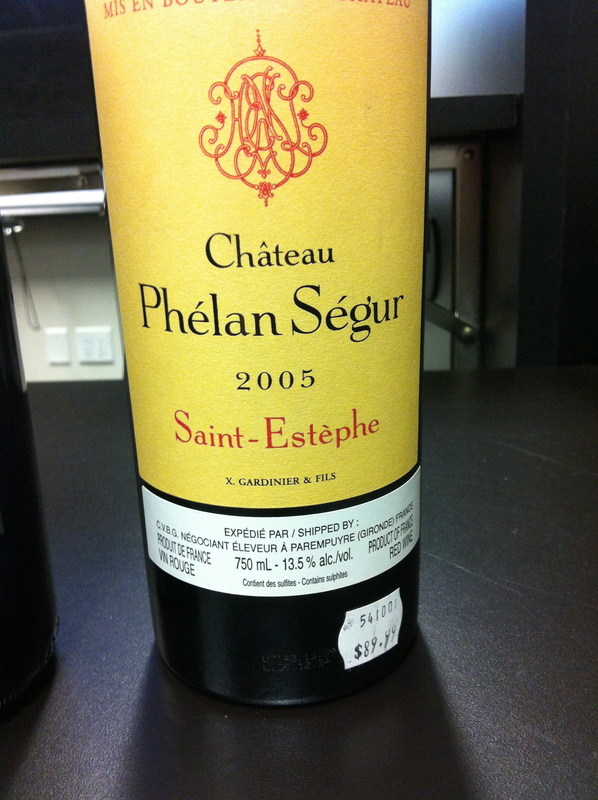 Château Phélan Ségur 2005 Saint-Estèphe AOC (13.5%) $89.99 I could not believe this was already 9 years old! Tonnes of fruit flavours still left in this delicious wine. Notes of cassis, tar, mineral, cigar box – it is a very big and aggressive wine that packs a fantastic punch. It isn’t cheap but a highly sought of appellation. The blend is 50%CS/45%Merlot/5% Petit Verdot. GGG Hell Yes! Still has 10 years to age!!! Château Cabannieus Réserve du Château 2009 Graves AOC (13%) $36.95 This is a terrific wine if you want to get a good bottle of Bordeaux at the BC Liquor store that doesn’t break the bank. You won’t be disappointed with this 50% Merlot/45% CS/5% Cab. Franc blend from the Graves AOC. There are finer tannins in this wine with notes of blackberry and black currant, vanilla, baking spices, tobacco, fern and earth. This is an interesting wine for sure! 4 – 6 years of age still to go. 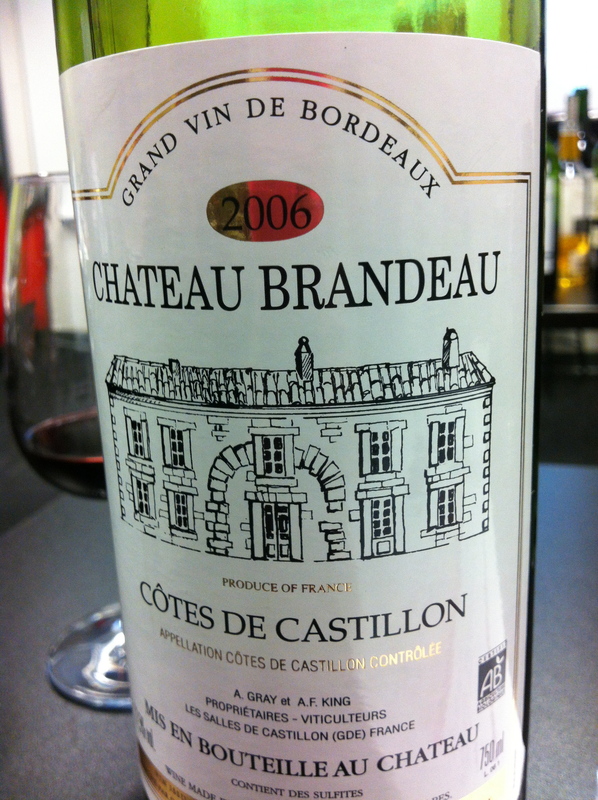 Château Brandeau 2006 Côtes de Castillon AOC (12.5%) $25.99 This may have been my absolute favourite of the reds I tasted last night and it was the cheapest! Whoo hoo! This lovely was juicy, elegant, tonnes of red berry fruit with nice notes of fresh red cherry. It was showing a hint of age but at 8 years already, it was doing well for not a ‘top’ AOC! This is a 80% Merlot/20% Cab. Franc blend and I loved it!! Château Chauvin Grand Cru Classé 2005 (13.5%) Saint-Émilion Grand Cru AOC $89.99 This 75% Merlot/20% Cab. Franc/5% Cab. Sauvignon blend was at the bottom of my list. I kept smelling it and smelling it…what was that funky, gnarly smell I was smelling? I was looking around the room for another similar reaction but didn’t get it from anyone. This highly reputed Château sits on a bit of iron-rich clay. I kid you not, I was smelling blood. And, the instructor said that ‘blood’ is a tasting note of this area of the Right Bank. Some people in the class smelled cured meat and fruit cake and walnut skin. For me, it was blood and I was incredibly turned off. For $90? No thank you! Silky tannins, yada yada yada…I ‘strongly disliked’ this wine. I have included a photo for you to stay away OR go towards if being a vampire has you intrigued! That is it for me today…it was a great class last night and I will post my Part Two with the Whites of Bordeaux in the next few days. Yay! So glad I could help out! I was VERY surprised by the tasting and will be heading out to get some more!